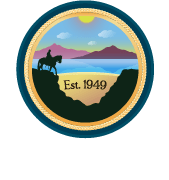 The SVCA members have worked tirelessly, since 1949, to manage development in the Sweetwater Valley. As an unincorporated community, the SVCA fills an essential role as our leading advocate with the County of San Diego and surrounding municipalities. We need your financial support and activism to continue this legacy. We are asking for your consideration and support to make this vision a reality.